The Aviatis Aeromaster Dawn is a bold and distinctive watch designed for professionals. Dimensionally the 42mm 316L (black PVD treated) steel case is well proportioned without being too imposing. What makes this timepiece so elegant is the sporty retro style brown dial with contrasting beige (Superluminova coated) numerals, hands and markers. 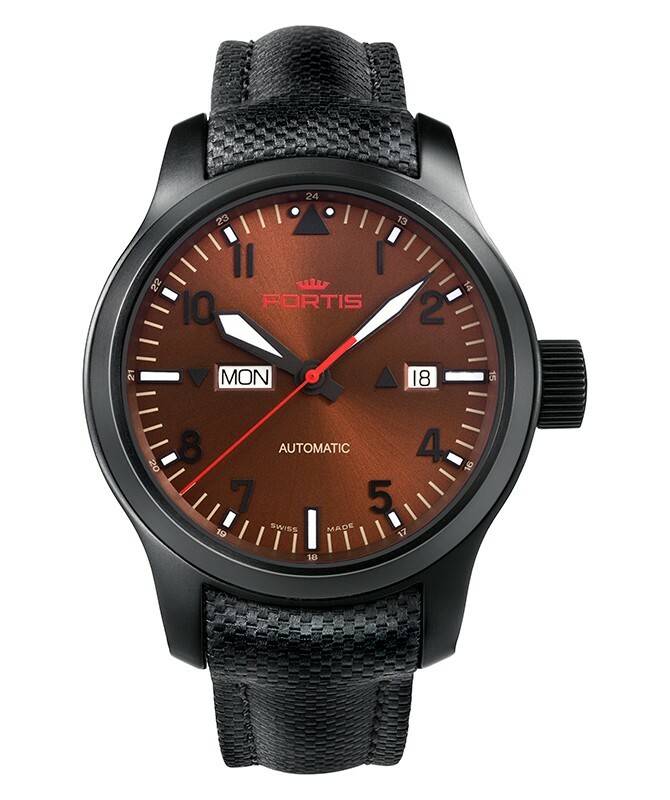 Other impressive features include two separate day/date windows, high quality leather strap and sapphire crystal lens. 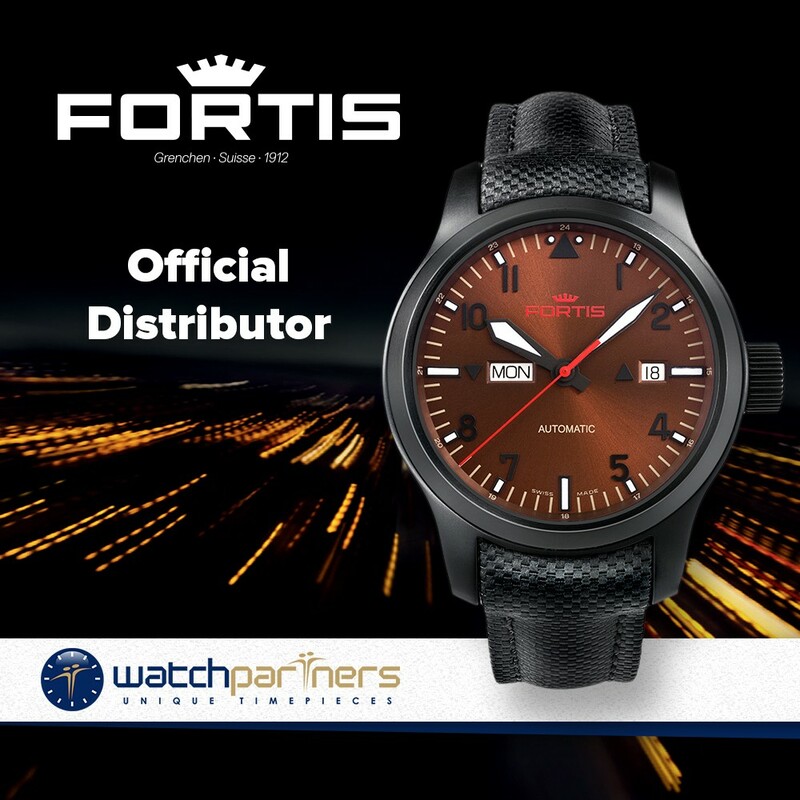 At the heart of the watch is a Swiss made self-winding ETA 2836-2 mechanical movement. This calibre comprises 25-jewels and oscillates at a frequency of 28,800 vibrations per hour (4Hz).